There are many accident scenarios that can cause a serious head injury to the victim which can alter their day to day lives in a dramatic way. For example a client who received compensation got hit on the head by a metal bar at work. Another client suffered severe brain injury after a serious collision involving a car in a road traffic accident. We know that head injuries can be catastrophic to the individual involved so we always hope that when a client approaches us for legal representation, that the injury is not too severe for their aftercare and continued quality of life. These accidents do however occur, so if you have been involved in a non fault accident that has injured you in the head in some way, do not hesitate to contact us to make your claim for compensation, just like our other clients have. The biggest organ found in the head is the brain. It is usually injured in some way during a head injury accident. This is referred to as a trauma (from the Greek word “trauma” meaning “wound“) to the brain resulting in traumatic brain injury or a “wound” to the brain. The most common causes include road traffic accidents (RTAs), assaults, slips, trips and falls and accidents at home or at work. The range of injury severity to the brain caused by an accident can range widely, from a minor brain injury/concussion to a moderate brain injury to a severe brain injury that can cause paralysis, full/partial loss of motor functioning, coma and other detrimental effects to you. It is therefore very important to have very good post-brain injury treatment in order to have a better chance of recovery and specialist legal representation if you want to claim compensation. (Headway have a couple of great fact file pdfs if you want more information. Another injury that can be sustained from having being involved in an accident resulting in a head injury can be whiplash. Whiplash is a neck injury that can be caused by a sudden blow to the head resulting in a jolting of the neck, such as in a car accident. 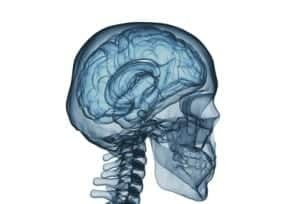 If you have suffered a head injury accident that wasn’t your fault and have sustained some form of brain injury or whiplash and want to make a claim for compensation, you need to contact a personal injury specialist solicitor. We can help you make that claim, not only for compensation but for any aftercare costs and any loss of earnings that you may have suffered. We can’t change your past, but we are empathetic and understanding towards the injury type that you have suffered and due to the knowledge our clients have given our solicitors, we have gained in experience on these types of claims which has enabled us to can claim back the compensation you deserve. We have helped numerous clients in such cases not just claim compensation but also helped them received the best possible aftercare treatment, support and rehabilitation where needed. Our solicitors are experienced and dedicated to fighting for your accident claim. Contact Us on 0161 82 11 229 or fill out the form provided and start your claim today. It could be the best decision you have made. > Personal Injury Claims – Information on how to make a personal injury claim for compensation. > Criminal Injury Claims – Information on claiming compensation when injured due to a criminal act taking place. > Slips, Trips and Falls – Information on claiming compensation after a slip trip or fault that wasn’t your fault and resulted in an injury. > Spinal Cord Injury Claims – Information on spinal and spinal cord injury claims for compensation.